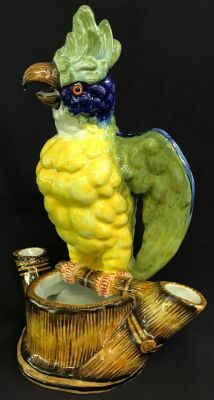 Faience parrot figure, French, late 19th century. There are minor nicks to the glazed surface, consistent with age and use. 9 1/2” by 6 1/2”, 12 1/2” high.